Massive fixtures await the kick-off of the second stanza of top division football in Nigeria. After over two weeks of mid-season break, the Nigeria Professional Football League (NPFL) takes center stage weekend as clubs who have earlier faced each other in Matchday 19 encounters make quick reverse fixtures in week 20. Weepy over their 3-1 defeat in Tunisia, Rivers United will hope turn the tides of domestic football in their favour as they host the Solid Miners, Nasarawa United in a crucial meeting that will help Stanley Eguma initiate his ascent up the log. For champions, Rangers International, the six-goal thriller in Gombe against Manu Garba’s lads will remain fresh in their memory. The reverse fixture at the Cathedral will likely see more goals for the Coal City lads than against them. 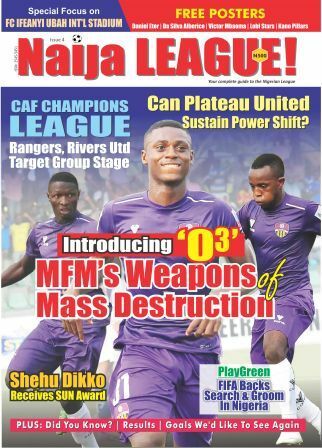 League leaders, Plateau United will also take their chase for the NPLF title to Katsina United who they managed to beat 1-0 in Jos in the reverse fixtures. Maikaba’s side have been able to yield 29 points from as many games and occupy the 5th spot. The both teams already have their star men billed to resume camping with the Super Eagles next week. 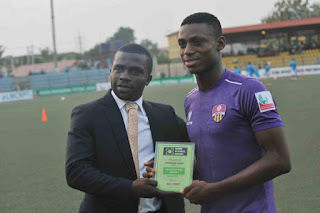 Sikiru Olatunbosun, Stephen Odey of MFM and Akwa United’s Al-Hassan Ibrahim received their first senior national team call-up and this game will give the opportunity to keep up the impressive performance to enhance their chance of making their Super Eagles debut against little known Corsica or Togo as they case may be. Another talking point in this game is the return of midfielder Ifeanyi Ifeanyi to the Soccer Temple. Akwa United snatched the lad from MFM after he gave a good account of him last season. He has grown to become an integral member of the Promise Keepers and will lead them to Agege to match his former side. At the Sani Abacha Stadium, Kano, Masu Gida will host Niger Tornadoes in what looks like a litmus test for Kano Pillars resurgence after an appalling first stanza.